Do you have a captive parrot? Few people realise that all parrots in Belize are protected by law, which means it is illegal to take them from the wild, or to keep them in our homes. 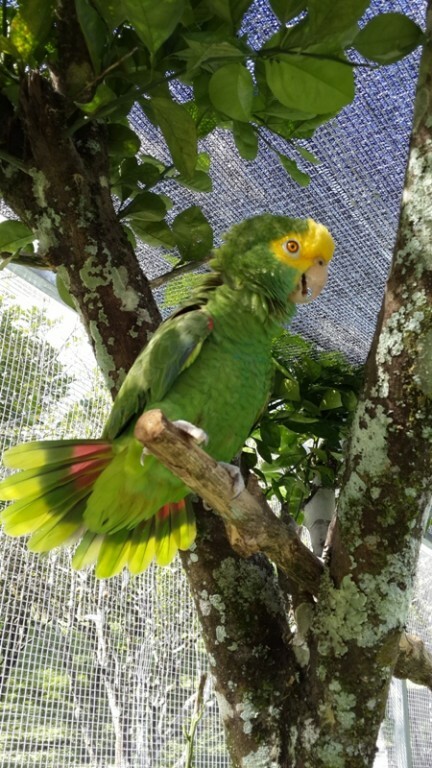 Belize Forest Department recognise that many people in Belize have birds that have become part of their family, and as such, has launched a licensing programme for these captive parrots. Once your application is lodged with the Forest Department, a representative will visit your home to check on your bird and its conditions. They will have a lot of applications to process, so please be patient. Be aware that these licences are for birds already in captivity, so don’t go and get a new parrot and then apply! While you wait for your licence to be issued, you can make sure your parrot is living in conditions which comply with the minimum standards. This means a big cage - at least 8 feet around for outdoor cages and 4 feet for those inside the house. The wire has to be snake-proof (1/2” holes or smaller) and there needs to be lots of wooden perches. Birds also need a variety of fruits, veggies, nuts and seeds to stay healthy, and things to chew on and play with, like fresh green branches, leaves, plastic bottle tops, chunks of wood, even an old phone directory! 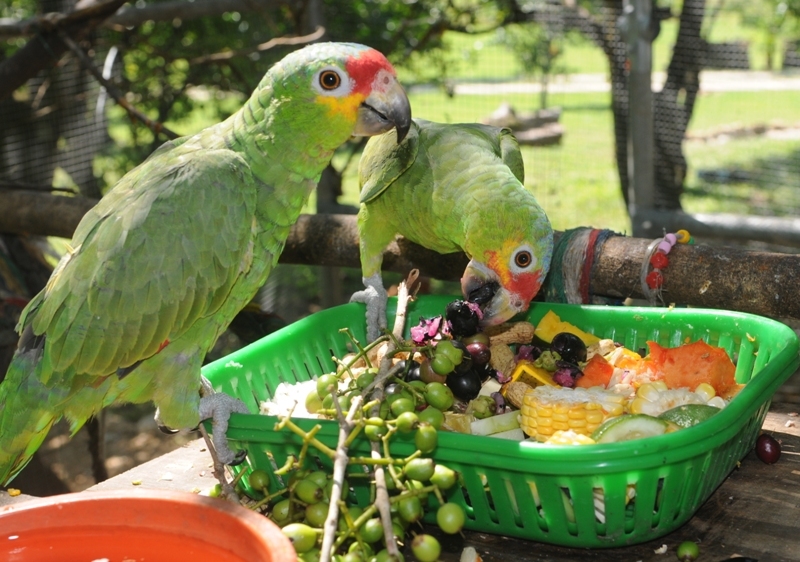 Wild parrots of Belize should live between 45 to 100 years depending on the species. Take good care your captive parrot to give him the best chance of a healthy, happy life, or consider surrendering him to the Forest Department so he can go into their rehabilitation programme and eventually return to his natural life in the wild. Lobsterfest kicks off! El Divino hosts Meat and Greet!